The Fountains of St. Augustine Motorcoach Resort is a luxurious Class A Motorcoach Resort currently under construction in St. Augustine, FL. This resort will be the flagship resort of The Fountains Vacation Club, a vacation ownership program that allows members to buy points that convert into weeks at the resort. 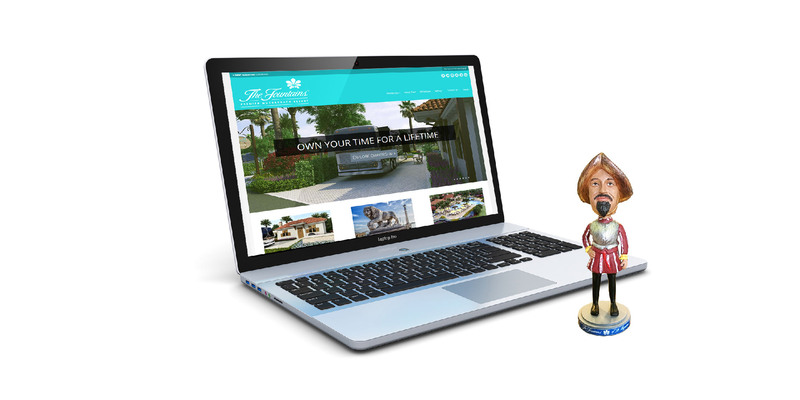 The Fountains of St. Augustine required a website that could provide users with easy navigation as they gain information about the resort, the vacation club and news and blogs about the resort and St. Augustine area. The website was built in WordPress, which allows content to be edited easily and quickly on the website so the information stays as up to date as the progress at the resort.